Health systems, hospitals, and physician groups have moved to implement and adopt enterprise EHR technology with the hopes of providing a uniform experience for clinicians. However, clinical workflows vary among providers across and within specialties, running counter to a one-size-fits-all approach. Recognizing this variation, forward-thinking clinical and technology leaders are working collaboratively to deliver an EHR experience to end-users based on the needs of different cohorts of providers. Ideally, such planning is part of the implementation design process. But given the lifespan of EHR technology — the EHR journey — EHR implementation is only the beginning of many years working to tailor their systems to the unique needs of clinicians through optimization, customization, and training and education. Partners Continuing Care CIO John Campbell led Spaulding’s Epic implementation and telemedicine program at Spaulding Rehabilitation, a network of outpatient and inpatient facilities within Partners and a recognized leader in rehabilitative care. In this presentation, John will detail the organization’s approach to giving long-term and post-acute providers across clinical settings EHR technology that supports the needs of both providers and patients. Since 2005, John has served as the Chief Information Officer of Spaulding Rehabilitation Network, part of Partners HealthCare. 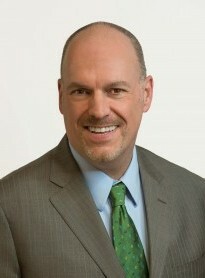 John played a significant role in the building of the first new hospital in Boston in the past 30 years, developing and implementing an innovative IT design for the all-new flagship Spaulding hospital that earned the organization top honors for its patient education/entertainment system designed for a disability population. John was also instrumental in defining and implementing a post-acute telehealth strategy to improve efficiency, reduce costs, decrease readmissions, and drive nearly 100% physician and patient satisfaction rate.